Turkish food keeps on growing more and more popular while giving a wide scope to expert restaurateurs. As in any booming business, this sector is filled with competition. This is precisely why it is so important to combine all components rather than just creating a nice oriental interior design. Food plays one of the key roles here. 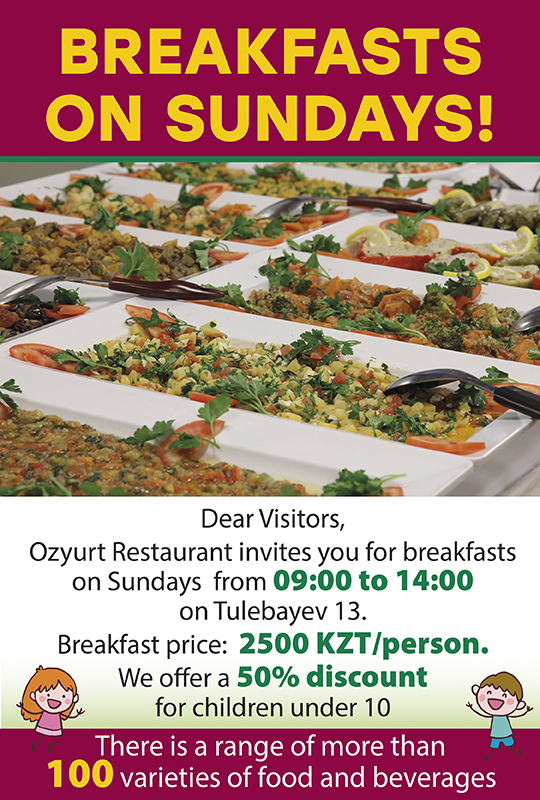 Ozyurt Restaurants is a leading chain of restaurants in Almaty. This is an alcohol-free establishment that will make you take a fresh look at the oriental traditions and food. Only we can offer you a true oriental hospitality. Our waiters will offer the guests the best Turkish dishes served in both traditional and signature way. The story of appearance of well-known Ozyurt brand started back in 1993. This was one of the first restaurants in Almaty focused on oriental food. The establishment concentrates in particular on the Turkish culture. Ozyurt Restaurant won the honorary title of the best restaurant in the city back then. It is notable for its warmth, hospitality, special refinement, unique delis. Almaty citizens and visitors come here to try a special color of the Turkish culture. 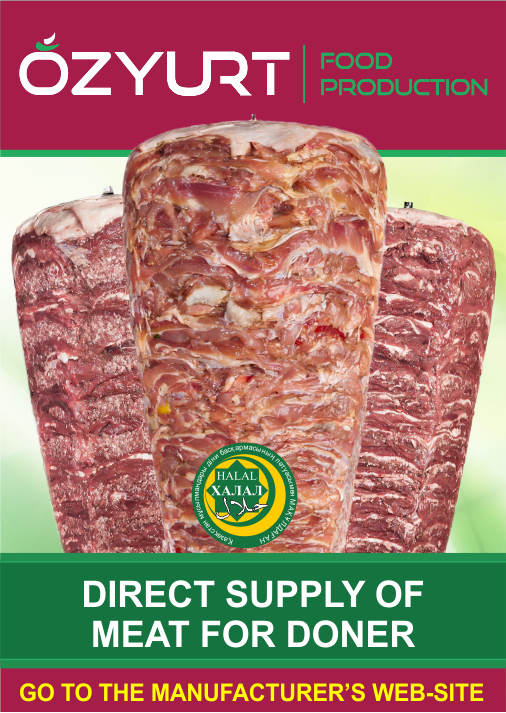 We use only high-quality HALAL food for cooking. 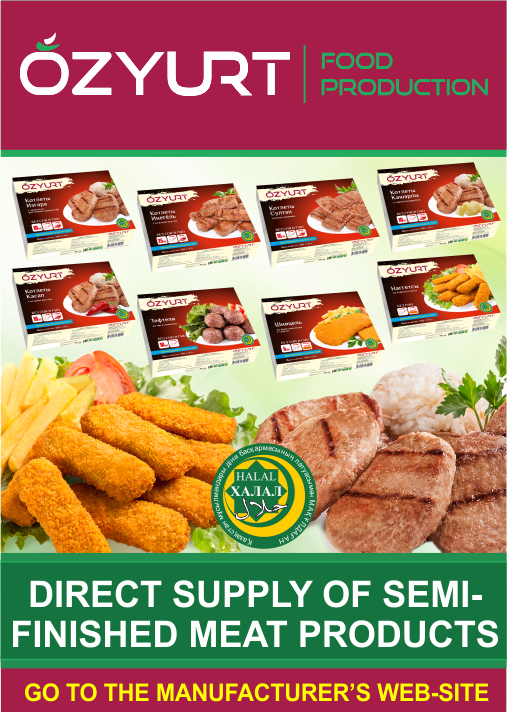 Aromatic oriental spices provide Ozyurt food with a special colour, delicacy, and completeness. There are famous iskander/doner kebab, savoury kofte, beiti, aromatic soups, and various salads on the restaurant menu. In addition, our chefs will present you famous oriental pastry. You will taste lahmacun, pide, puff lavas. 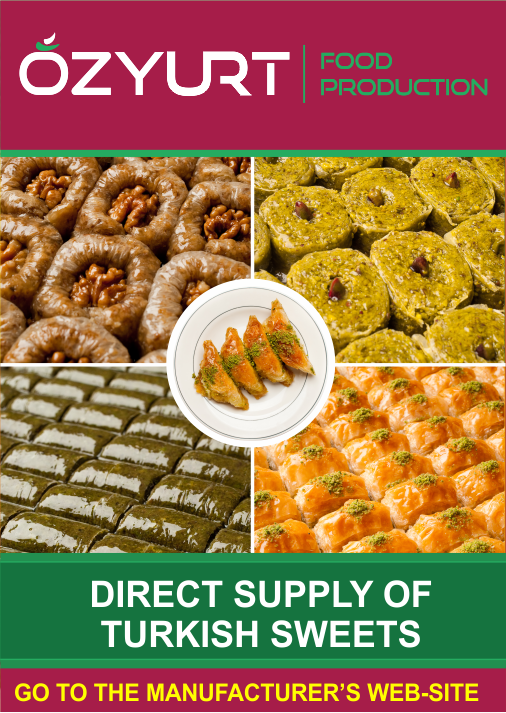 The restaurant is especially proud of various sweets, such as tulumba, baclava, revani. We do our best to offer you healthy/wholesome/tasty food. That is why our restaurant constantly extends its scope. Now you can enjoy Turkish food in our branch restaurants in Almaty and Astana. Aren’t you with us yet? Welcome to Ozyurt! Оzyurt is a true piece of oriental world in the very center of Almaty. This is the restaurant you will remember for its warmth, fascinating atmosphere, and unforgettable memories! Our staff gives unparalleled emotions to their clients. Price range 2000-4000тг. Ozyurt Restaurants are the best Turkish restaurants in Almaty and you can experience it personally if you visit this little paradise with aromatic oriental spices – after that you will definitely become our loyal customer!